SAN FRANCISCO - Facebook announced it will ask its two billion users to rank their trust in news sources, in its latest attempt to combat the spread of misinformation on the social network. The change comes as the online giant seeks to address charges that it has failed -- along with Google and Twitter -- to prevent the spread of bogus news, most strikingly ahead of the 2016 US presidential election. In a Facebook post, co-founder and chief executive Mark Zuckerberg said the network would seek to "prioritize news that is trustworthy, informative, and local." "There's too much sensationalism, misinformation and polarization in the world today," Zuckerberg said. "Social media enables people to spread information faster than ever before, and if we don't specifically tackle these problems, then we end up amplifying them." The new "trusted sources" ranking, which starts next week, would aim to "make sure the news you see is high quality" and "helps build a sense of common ground" rather than sow division, Zuckerberg said. To do so, he said, Facebook decided to rely on member surveys as the most "objective" way to rank trust in news sources. "We could try to make that decision ourselves, but that's not something we're comfortable with," Zuckerberg said. "We considered asking outside experts, which would take the decision out of our hands but would likely not solve the objectivity problem." "This update will not change the amount of news you see on Facebook," he said. "It will only shift the balance of news you see towards sources that are determined to be trusted by the community." The company cast the change as part of a refocus on "community" -- prioritizing social interactions and relationships -- while acknowledging it would likely result in people spending less time on the platform. "For some time, we have argued that Facebook should give priority to news from trusted sources," David Chavern, head of industry group News Media Alliance, said in a statement. "This would be positive for consumers, as well as help to address 'fake news' issues." 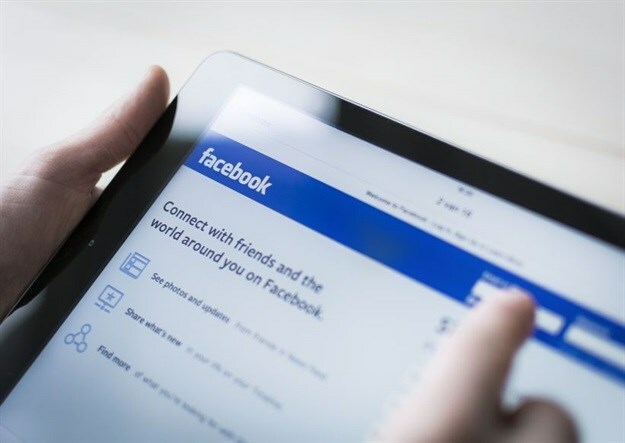 The group will watch how the Facebook ranking changes are implemented and whether they deliver on the social network's stated goals, according to Chavern. "My hope is that this update about trusted news and last week's update about meaningful interactions will help make time on Facebook time well spent," Zuckerberg said. Meanwhile, British lawmakers probing possible Russian interference in the Brexit referendum revealed this week that Facebook agreed to broaden its own investigation into fake news around the vote, after the social media platform's initial efforts drew criticism. The House of Commons' Digital, Culture, Media and Sport Committee said Simon Milner, the tech titan's head of policy in Britain, had vowed the company would now search for "clusters engaged in coordinated activity around the Brexit referendum" that appeared to have originated in Russia.